Les Dames d’Escoffier Philadelphia and GEO invite you to join us for a Georgian meal and wine tasting. 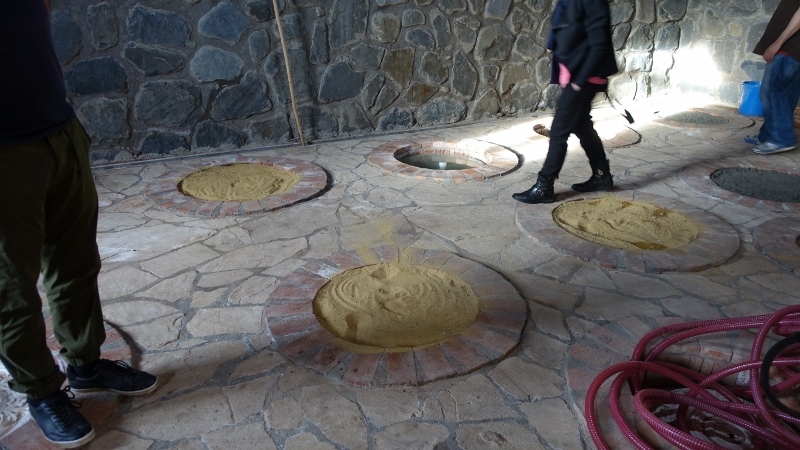 Jill Weber, the Wining Archaeologist, will relate her recent visit to the Republic of Georgia and its wine-producing countryside. The earliest-known evidence for wine has been found outside of Tbilisi – dating to 8000 years ago! Find out how modern winemakers embrace their historic past, and taste the results. Jill, GEO’s current president, is an archaeologist and restaurateur with a passion for travel…and wine! She spent 15 years working in Syria – as well as Oman, Turkey, Armenia, and Iraq – coming away with an appreciation for food and wine from the Middle East and Eastern Europe. She has since opened Jet Wine Bar, which features the types of global wines she encountered in her work and travel.